We sometimes worry about the humidity levels in warmer months, and higher levels of humidity can cause discomfort. On the opposite end of the spectrum, lower levels of moisture can also cause us pain in the winter, especially in our own homes. Maintaining the proper levels of humidity in your home or office can be tricky, so you should know whether or not you need a humidifier or a dehumidifier. Humidifiers and dehumidifiers are machines that help control the humidity levels in your home, and understanding how both function and how humidity levels work will lead you to a more comfortable home year round. The primary function of a humidifier is to put moisture into the air. Increasing the humidity in your home can prevent minor health problems, such as sore throats and dry skin, especially in the winter months. Two different types of humidifiers are warm mist humidifiers and cool mist humidifiers. 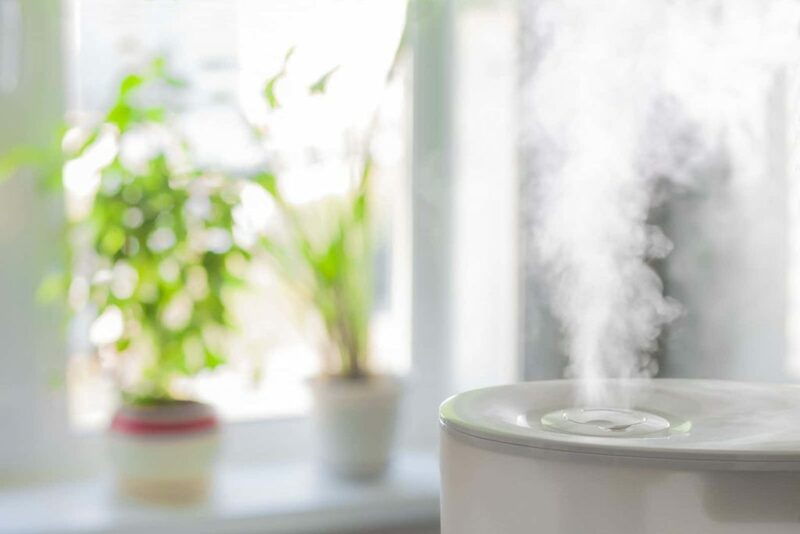 Warm mist humidifiers can provide a relaxing sensation, but if you are a person that finds it hard to breathe while sitting in a sauna, a cool mist humidifier might be the one for you. Having a humidifier running during the winter can provide sinus relief by adding the extra moisture into the air, and will support healthy skin by leaving the air less dry. Those with seasonal allergies will notice a difference, as humidifiers can help speed up the healing process. A dehumidifier serves the opposite function as a humidifier, where instead dehumidifiers draw excess moisture from the air while circulating dryer air back into the room around it. Higher humidity levels, like during the summer, can provide an environment for mold or dust mites, which can be hazardous for those with asthma or allergies. You will no longer need to suffer from dry air in the winter or high humidity levels in the summer when you have the right equipment. For more information on controlling the humidity levels in your home, call the professionals at Sharon’s Heating and Air Conditioning at (734) 425-1415, or visit us at 31776 Cowan Road in Westland.